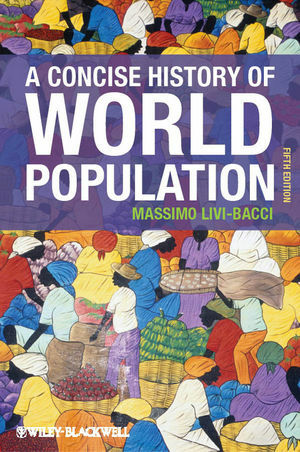 This fifth edition of the essential history of world population is updated with the most recent and significant scholarship on the topic. Reworked sections analyze the impact of environmental and climate change, discuss declining fertility in developing nations, and track the continuing impact of HIV-AIDS. Massimo Livi-Bacci is Professor of Demography at the University of Florence. A former president of the International Union for the Scientific Study of Population, his extensive research interests include contemporary demography as well as the history of population. He has taught and held fellowships at universities all over the world, including Princeton University, the University of California at Berkeley, the Collège de France, and the Colegio de México. His many publications include Population and Nutrition (1991), The Population of Europe: A History (Blackwell, 1999), and Conquest: The Destruction of the American Indios (2007).